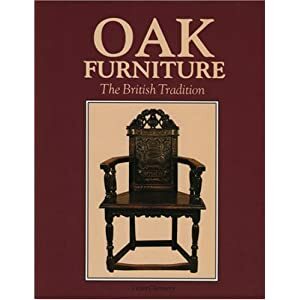 Oak Furniture The British Tradition Reprinted? Yes! Oak Furniture | The British Tradition – Victor Chinnery – 9781851490134 – Antique Collectors Club US. Looks like one of the most sought after books on English Oak Furniture is going to finally get a second printing. This book is the GO TO source for this stuff, and it’s really hard to find used. We’re talking hundreds usually for this book. A reprint is on it’s way according to the publisher’s site, which is fantastic news for us recreating these old styles or just studying them for new ideas. ** edited ** Peter let me know that they apparently have a regular printing schedule as soon as they run out, they print more. So, it remains to be seen whether it’s a full on second edition, or more of the same book printed again. Either way, I’ll be happy because I’m going to get a copy.